St. Mary’s University is home to 12 residence halls that provide a wide variety of communities. Students may be eligible to choose from several halls, depending on their age, major and classification. Each hall serves a different type of community and provides a variety of programs and spaces to relax, study and play. Amenities in The Village at St. Mary’s like the outdoor pool, sand volleyball court, hammock garden, grills and fire pits are available to all residents for use. What are you looking for in a residence hall? Whether you’re seeking housing close to friends, a Living Learning Community or cost-efficient options, or simply trying to get a feel for a room’s layout, St. Mary’s University’s 13 residence halls are sure to suit your housing needs. View all residence halls at St. Mary’s University. Our 12 residence halls offer options for housing based on your classification, interests and more. All rates are per semester for the 2019-2020 school year. Living on campus can be one of the most rewarding experiences of a lifetime. It’s an opportunity to meet people who may become long-lasting friends and a chance to discover more about yourself. It’s a time for new challenges, new friends and new experiences. The community in each residence hall is one that students will cherish during their college experience. Furthermore, living on campus in a supportive educational environment is an excellent way to make the major transition to college easier. Living on campus is cost-efficient. 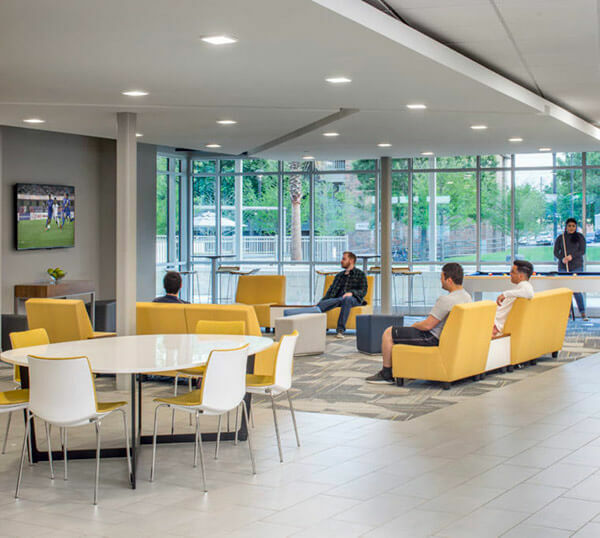 Residents are entitled to amenities and services that can potentially serve as extra costs at off-campus apartments and housing, such as Internet access, cable and meal plans. Note: Undergraduate residential students are required to select and purchase a meal plan as a part of their Housing Application. Meal plans are optional for graduate, law and commuter students. For more information on St. Mary’s Dining Services and descriptions of meal plans visit Campus Dish. Within the Marianist tradition, a community is viewed as an extended family. 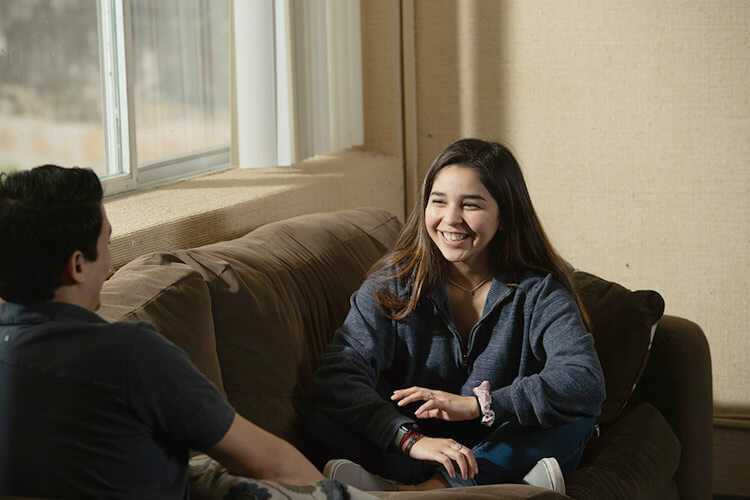 The community within the residence halls offers a variety of different relationships among various populations. The St. Mary’s community includes and is supported by staff, faculty, administrators, family and friends. Respect for individual differences and an understanding of diversity are key elements in the development of community in the residence halls at St. Mary’s University. St. Mary’s is just minutes from downtown San Antonio where local art, culture and restaurants thrive. Downtown is the heart of San Antonio, where visitors and locals alike experience the richness of diverse, South Texan culture including art and history museums, the King William Historic District and the Blue Star Arts Complex. New undergraduate students with a permanent address outside Bexar County are required to live on campus. See the campus residency requirement policy for details and exemptions. What’s included with your room? 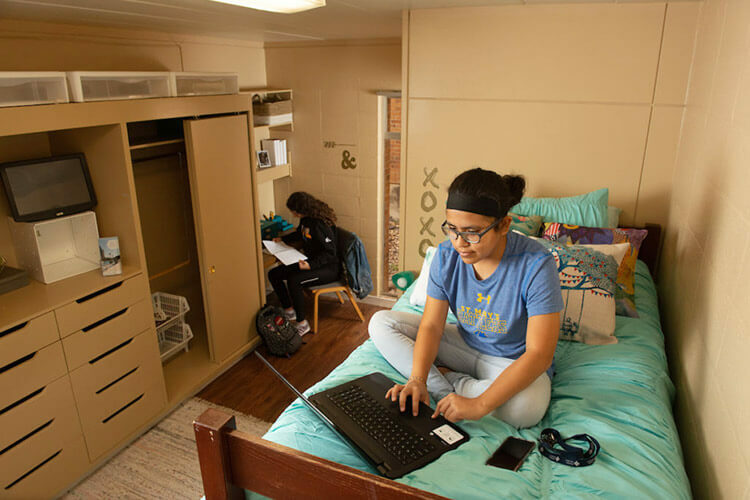 Each room at St. Mary’s residence halls includes a desk, chair, bed with standard-sized mattress (XL twin mattress in Chaminade and Perigeaux halls), closet and drawer space and a sink (either in room or in private bathroom). Residents are also entitled to a number of amenities and services. All students living on campus must pay a nonrefundable $100 housing application fee each academic year when applying to live on campus. Applications will not be considered complete until the $100 application fee is received and all the pages of the application have been submitted online. Housing Application fees are applied back to the student’s account after the 12th class day of the fall semester if they do live on campus. If a student cancels their housing, the fee is forfeited. New Students In order to apply for housing at St. Mary’s, students must be accepted to the University. After being accepted, the Office of Admission will notify the student once Online Enrollment has been opened. Applying for housing is part of the Online Enrollment Confirmation Process. If you have questions about the Online Enrollment process, please contact the Office of Admission at 210-436-3126. Room assignments are made on a “first-come, first served” basis, using the date the housing application fee is received via the Online Enrollment Confirmation Process. Begin your housing application by accessing the St. Mary’s University Housing Portal on Gateway. All undergraduate students living on campus are required to purchase a meal plan. The meal plan amount purchased is credited to the student’s account and is accessible for purchases at the Diamondback Café, Subway, Chick-fil-A and Starbucks via the St. Mary’s Rattler ID Card. Every student living on campus is required to have health insurance. The University automatically charges every resident for the minimum recommended health insurance policy unless the individual student waives the school health insurance as instructed. Deadlines for waiving the insurance are very strict. Once the University has paid for your insurance, you cannot receive a refund. For more information on the health insurance waiver, please contact the Student Health Center at 210-436-3506. Returning Residents Returning residents or current students can access available housing applications through the St. Mary’s University Housing Portal on Gateway. Students living on campus are required to have health insurance, and will be automatically charged when they select housing. If the student has adequate health insurance from another source, they may waive the St. Mary’s student health insurance through the St. Mary’s Student Health Center. Undergraduate students living on campus must choose between Meal Plan 5 or Meal Plan 7. Graduate and Law residents are exempt from this requirement but may purchase a meal plan, if desired. Summer Residents Students wanting to live on campus for the summer must also fill out a summer housing application. There is a $50 application fee for the summer sessions. This fee is applied back to the resident’s account if they do live on campus. There are three summer applications available: May Mini-semester, Summer I and Summer II. Access available housing applications through the St. Mary’s University Housing Portal on Gateway. St. Mary’s University is a diverse community of people, and Residence Life believes that accepting one another and the protection of human dignity enriches life at St. Mary’s in activities, in programs, in the classroom and in everyday experiences. The goal of the Office of Residence Life is to create an environment of community and individual respect where differences are appreciated and celebrated. Begin your journey by reading through the Residence Life Housing Brochure (PDF), which is your all-in-one resource for the 2018-2019 school year. Inside the booklet you’ll find out about the application process, housing policies, residence hall amenities, what to bring to college, check-in dates, and everything else you’ll need to know about living on campus.